We updated Kitely Market today with improvements that help merchants manage a large collection of products more easily. Merchants can now use the Manage Products page to quickly find the products they’re looking for, organize them into groups and then perform operations on those groups of products. We also added a “Related Products” feature, which uses this new grouping functionality. We also added a new sort order, “Name”, which sorts results alphabetically by the product name. 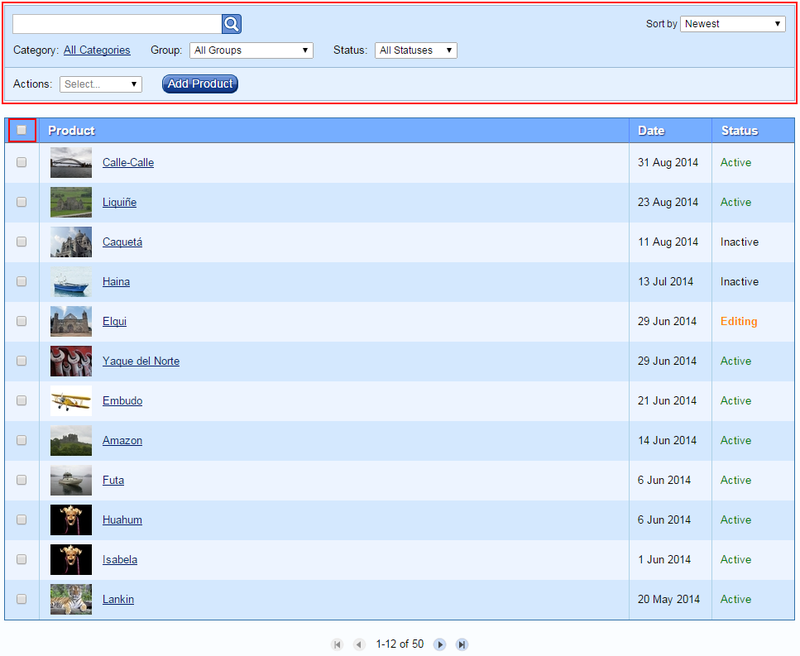 This sort order is available in the main search page, too (where regular users can use it). Another improvement to this page is the addition of a “Select All” checkbox, which selects all of the products in the page. Previously merchants that wanted to select all the products had to click the checkbox next to each product individually. And finally, in addition to all of these features, the new page works much faster than before! We’re introducing a new feature today: “Product Groups”. Groups are a way for merchants to organize their products: merchants define groups, and then assign products to these groups. As mentioned in the previous section, the Manage Products page now allows filtering products by group. Groups aren’t user-visible: they’re for the merchant’s use only. 1. In the Edit Product page. 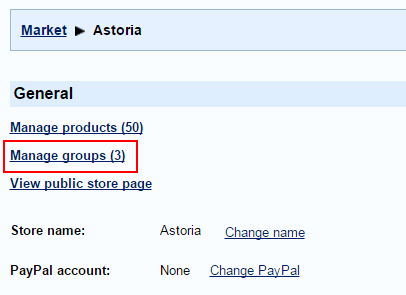 Click “Change Groups” to open a dialog where you can choose which groups the product belongs to. As usual when making changes in the Edit Product page, this change will only take effect once you click “Accept changes”. 2. You can also assign products to groups in the Manage Products page. This page lets you select multiple products and change their groups at once. To do so, select some products, and then select from the Actions menu: “Change Groups”. 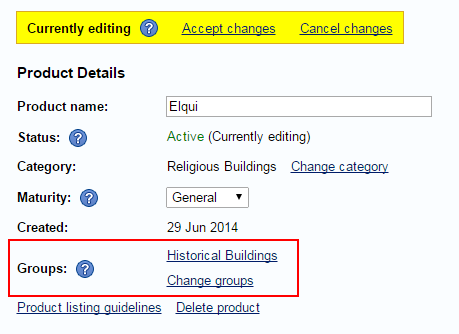 The changes you make in the Change Groups dialog will affect all of the selected products. Unlike the Edit Product page, changes you make in the Manage Products page affect the products immediately (there’s no need to click “Accept changes”). Thanks to Groups, the Related Products feature is very easy to use. For example, suppose a merchant has a group called “Patio Furniture”, which contains all of their patio furniture products. When the merchant creates a new product of this type, they only have to add that one product to the group. This single action automatically causes the new product to appear as a “Related Product” in all of the other products in the group, and vice-versa. There’s no need to explicitly mark each of the products in the group as a “Related Product” of the new product. We’ve integrated Related Products into Kitely Market Analytics: there’s a new channel type called “Related Products”. When users click on a product that they see in the “Related Products” section, and later possibly buy that product, the sale is attributed to the Related Products channel.